Had some extra time yesterday at work and decided to make something quick, easy, and fun to say. That’s when I came across malooga, a Yemeni flatbread made with browned ghee. Subsequently we should remember that unfortunately many do not have access to malooga due to the mass famine from civil war in Yemen. This is a fairly straightforward dough. There is the flour, water, yeast autolyse for a half hour, addition of salt and browned butter, and then kneading to full gluten development. This was fun for me since I never fully develop gluten during mixing, instead making long proofing, very wet sourdoughs. Rest one hour with one stretch and fold in the middle. Then divide, roll out (stretching was easier than rolling), brush with brown butter, then fold in half, rotate, and repeat 2 more times. On the final fold, shape to a reasonable loaf size and brush again with brown butter. 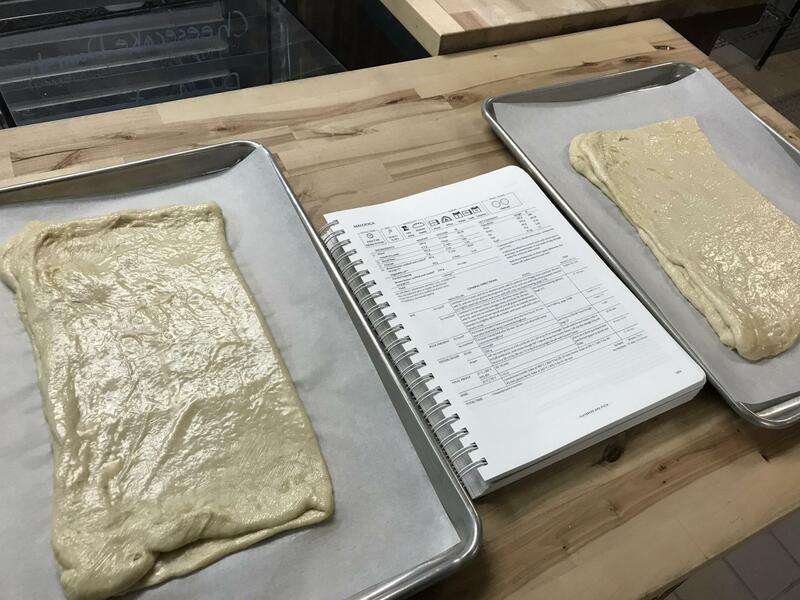 Let proof about 90 minutes and then bake. I baked on a sheet pan in a home oven. Malooga is traditionally baked in a taboon, which is the same idea as cooking naan in a tandoor but a slightly different shape oven. End result smelled wonderful and tasted ok. After a couple hours when the butter cooled, I liked it much better. 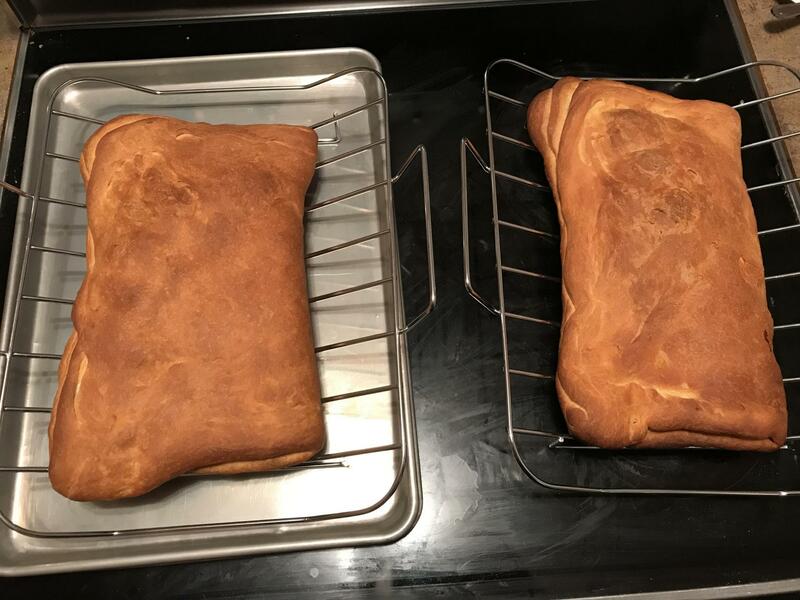 It was a fun and interesting new bread to work with. I had also never heard of malooga before yesterday. I hadn’t heard of this either! 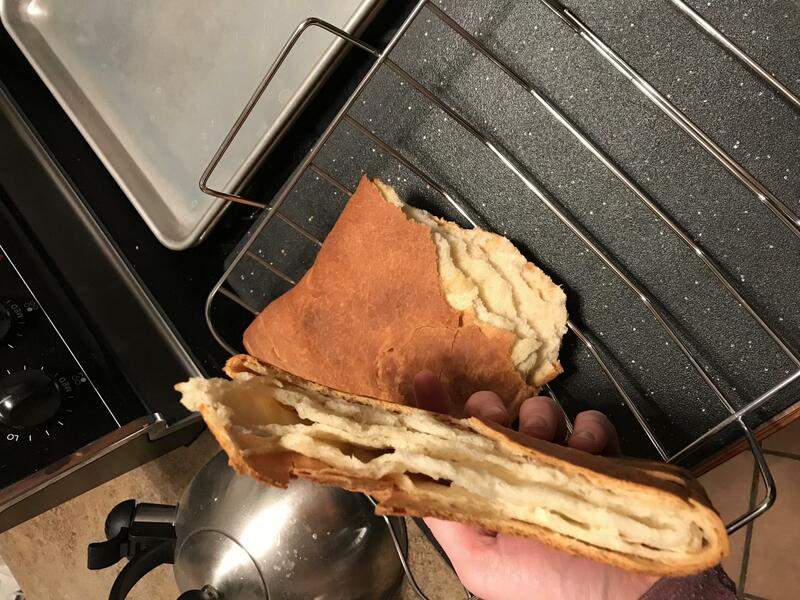 Looks like the outside is crispy and the inside is very soft. How did you come across the recipe? 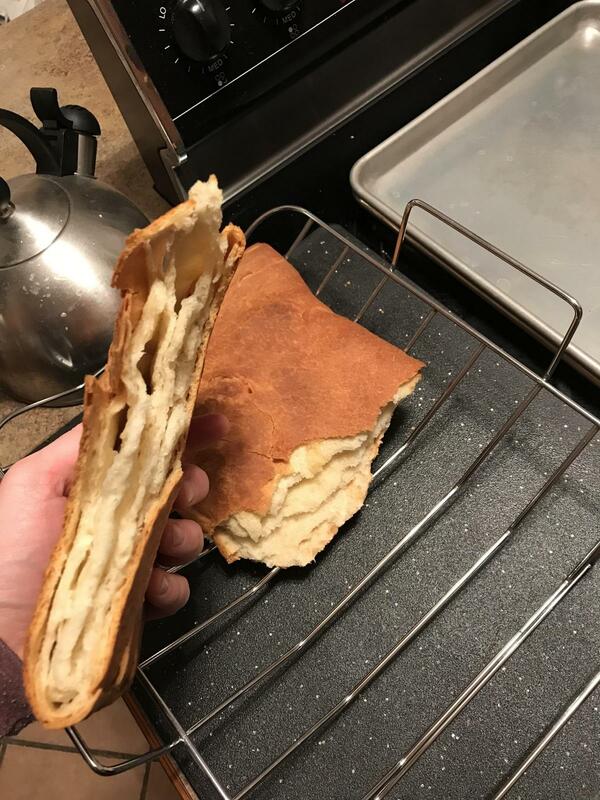 Yes, the outside is a buttery kind of crispy and the inside is nice and soft and easy to pull on. Kind of fun! The recipe was in Modernist Bread, right around a bunch of other breads I’ve never heard of, including matnakash, tonis puri, tigella, sheermal, obi non, ftira, bhatoora, ramazadan pidesi, malawach, jreesh, lachmachun, and others. I heard of sangak once; that is also in the same section. and sounds tempting. Hope you enjoyed it. I immediately looked up this book as I was not familiar with it & books are my downfall. Too pricey for me. I did notice it has something about bread in a jar. I thought this was dangerous to do. Any insight? Love this site! I am a bakery owner, so the book set was worth it for me (plus it was $100 less one day on Amazon and hasn’t been that price since). It is a very high quality set with a lot of research, a lot of testing, a lot of science, and a lot of beautiful photography. It is extremely informative, innovative when possible, and offers ample explanation for everything. The author is a billionaire former Microsoft executive so he had sufficient funding to spend years of research and testing for something like 20 staff to compile this book. As far as bread in a jar, I haven’t gotten to that part yet. It’s supposed to last for many months though, so when I do get to that part I will be giving it a try! Malooga made in a taboon! Like most Arabian breads, Malooga is your fork and spoon but it isn't served much outside of Yemen unless you are at a Yemeni restaurant somewhere and why we go to them:-). Lamb, veggies and rice and Arabian spices are nice things to dig into with this bread. Nice to go down memory lane on a Saturday morning.